Ruby Rose’s Batwoman has found her nemesis. 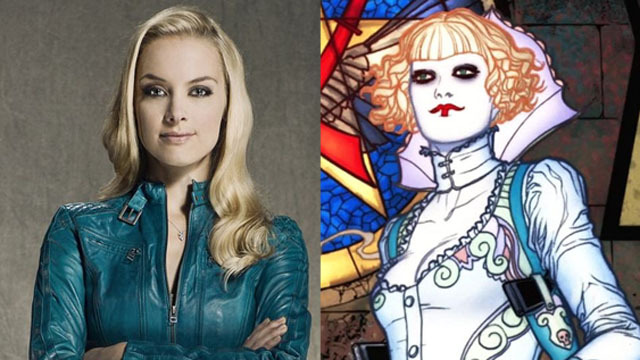 Deadline is reporting that Rachel Skarsten is joining the Batwoman pilot as Alice, a villainess who may be closer to Batwoman than Kate Kane suspects. According to the report, Alice is the equivalent of Batwoman’s Joker. It says she is “the leader of her Lewis Carroll–inspired Wonderland Gang,” and she is also described as “swinging unpredictably between maniacal and charming.” In the comics, Alice was introduced as the leader of the Religion of Crime. More importantly, Alice was revealed to be Elizabeth Kane, Kate’s twin sister. It’s unclear if Batwoman will maintain the familial connection between Kate and Alice. Nicole Kang is playing Kate’s step-sister, Mary Hamilton, a character created for the show. Skarsten starred in The WB’s short-lived Birds of Prey as Dinah Lance, the Black Canary. She also appeared on Beauty & the Beast, Lost Girl, and Reign. Additionally, Skarsten had parts in Fifty Shades of Grey and Molly’s Game. Camrus Johnson is also in the pilot as Luke Fox, the son Bruce Wayne’s right hand man, Lucius Fox. In the comics, Luke becomes a high tech vigilante who calls himself Batwing. Meagan Tandy is playing Sophie Moore, Kate Kane’s lover from their time in military academy. The Batwoman pilot will begin filming soon. It remains in contention for a full season pickup by The CW. What do you think about Skarsten’s casting in the Batwoman pilot? Let us know in the comment section below!